Whether you're improving the fit of your favorite boots or customizing a new pair, the BootDoc Comfort S8 Low Insoles will help you feel and perform your best on the mountain. 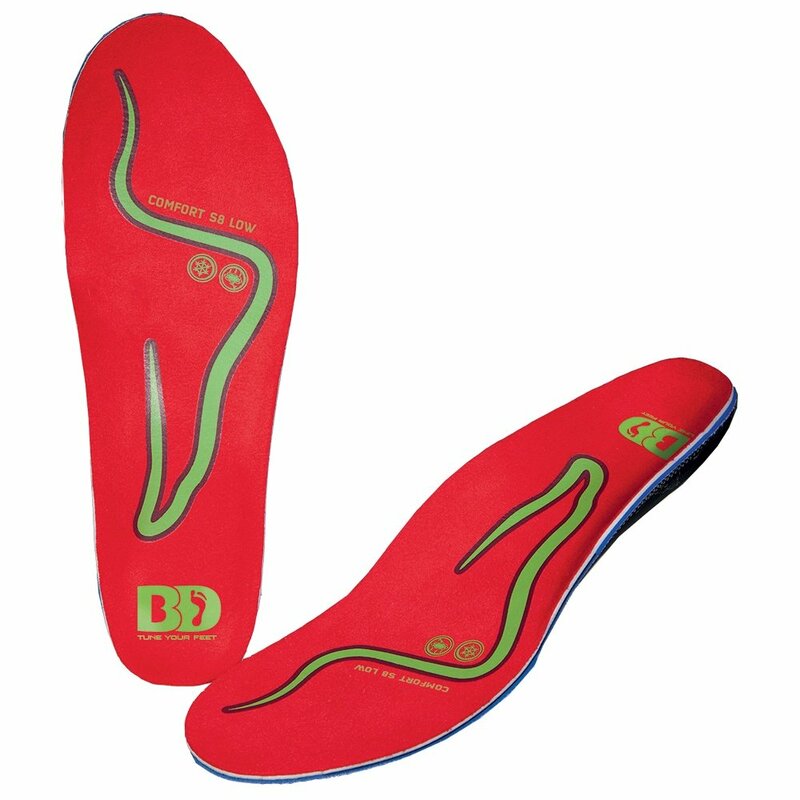 It's designed specifically for people with low arches, who need this kind of support the most to avoid cramping, discomfort, and improve leverage over ski and board edges. With built-in dampening and a heel cup that improves hold to anchor you in place, these are the best way to improve the fit and feel of any ski or snowboard boot.